In two decades of post-university, real-world, executive-level experience, I've never found such a complete and thorough volume of applicable marketing and positioning strategies. If you're new to business, or feel you're off course with your creation, Dave Newton's book will get you back on track. This book is destined to become a classic in the field of marketing. You may find little bits and pieces of what it has to share here and there, but nowhere else are they all in one organized vault of effective knowledge. This is the view from a height...and the nitty gritty of how marketing actually works. setting up a "money machine"
and a fourth part on Being Great. It has to be a year since I first got Dave's book. It has made a measurable difference to my own business. The ability to see all the elements of marketing as a whole is incredible, and not something that was taught in my college classes. Yes, I took Marketing courses, but they were about theories not practice. And Become The Influential Expert is loaded with ideas that work in practice. You could take just one chapter out of this book and turn it into a course. And I'm sure people have. You'll need several sittings to go through all the content, and more to work though it and apply the strategies to your own business. And it should. Quick fixes are fake. This is real, earthy, genuine effort on the nuts and bolts of your creation. If you don't take that seriously, what will you? When I talk about taking Right Action, the methods in this book are solid examples of what I'm referring to. 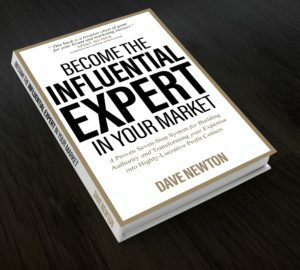 To get your copy of Dave Newton's Become The Influential Expert, click here. 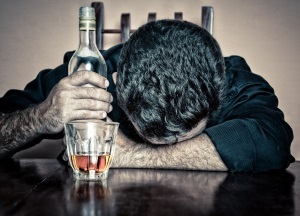 Despite spending more than $100,000 and twelve years on self-help, he is still working a 9-5 job...no better off financially...and still unsure what to do with his life. "Could the more contemporary self-help stuff be a bunch of mumbo, jumbo?" I want to share my response, because it's applicable to absolutely everyone who's in the same boat--and so many people are. Why? People get stuck doing non-revenue-generating activities. Tasks that will NEVER result in money coming in to you. Busy, but not effective. If you find yourself in this common situation, what do you do? How can you have a simple plan for sales success? Everything I'm sharing below I have tried and experienced myself. I am not paid or encouraged or rewarded for my recommendations. Good for you for asking yourself the question. The answer is not about self-improvement, it's about your attention and how you are spending your time. 1. I'll bet you already know everything you need to know in the self-help area. Stop buying books and going to workshops. You don't need any more and I suspect it's become an addiction ("The NEXT book, the NEXT workshop will be the thing that finally helps me figure it out"). And it's been a big money drain. 2. Write up a real budget and stick to it. Dave Ramsay's Total Money Makeover is a great start. Since you've been spending money on workshops etc., I'll bet you've been overspending on that gamble that "this is the thing that will bring me success". Back to the basics and recovering control of your money. If you haven't been interested in cash flow and money to this point, you had better get started. All successful people manage their money well...or they don't keep it long. 3. Why are you still working the 9-5? Be honest with yourself. Do you have a plan for becoming self-employed? Is that what you REALLY want? I have recommended three books that will give you everything you need to know for setting up a successful business. Total cost will be under $20. These three are the ESSENTIAL toolkit for anyone considering and running their own business. 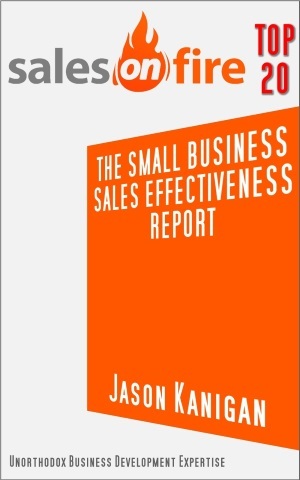 Even if you already do run a business, you will find tremendous value in these books. They will help you leap ahead YEARS over where you would be on your own...and I wish *I* had had them when I started out. Easily $1000 course there if I turned it into a seminar. 4. If an activity doesn't lead to revenue, stop doing it. Either it gives you credibility and outreach to potential customers in a very direct way, like my blog at https://www.salestactics.org, or it ends. Do not create content merely for the sake of creating content. It has to have a PURPOSE. And that purpose is to help you connect with potential customers...and create credibility in their eyes. If it doesn't do that. stop. You'll see people who are less intelligent than you are doing better than you. Why? 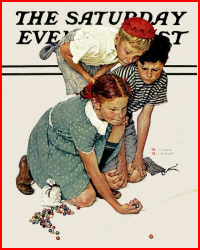 Because they put their nose to the grindstone and keep at it. That's all they know how to do. They don't doubt themselves. They don't look up or around. They keep at it. Whittling away, day in, day out. 20 years ago a Turkish man jumped off the boat in Vancouver, where I'm from. I know this man because he soon became the boyfriend of one of my mother's work friends, and they came over to my parents' house when I was a teenager. He was not a person of above average intelligence, but he knew how to work. For awhile he worked in construction...demolition, actually. After a couple years, he started his own business. It was not a complicated business. But it had all the right elements for success. First, he went to where the money is. West Vancouver is the posh place in the area. Second, he provided a straightforward product those rich people wanted: concrete fishponds in their yards. Third, he charged a decent amount of money for what looked complicated to them but was simple to those 'in the know' like me: hole, liner, concrete, pump, pipe. Guy was a millionaire in under three years. I remember my mom got a call from the girlfriend...the girlfriend was upset because, for her birthday, the boyfriend had traded in her BMW for a Lincoln Navigator (remember, this was the time when Navigators were the big success symbol). She was nervous about driving such a large vehicle. Compare with what you have been doing. If you are fully honest with yourself, you'll find you haven't really had a plan...been chasing the next self-help thing...jumping from one idea to the next...and this has been going on for YEARS. Do these four straightforward things I've listed here, get your plan solid and ironed out and take control of your cash flow. Most of all, understand for yourself WHY you are still doing the 9-5. There's nothing wrong with that, especially if it turns out you really don't want the risks of running your own business, but you do need to understand the reason. You need that clarity. A simple plan for sales success doesn't have many elements. It isn't complex. Your income must exceed your spending. As hard as it may be, set aside savings. Build profit, taxes and unexpected expenses into your revenue plan (this is from my Pricing podcasts). Be very clear about what you are doing, and why. Get in front of a hungry, money-plentiful market and give them what they want. Systemize your business. If you can only afford ONE tool beyond my free products given away on this blog, get Jeff Steinmann's How To Quit Working. The blueprint inside will take you farther than any other program I have seen.